Japan's public broadcaster NHK and some other TV stations has began airing 4K and 8K ultra-high-definition programs on satellite channels Saturday. NHK initially being the only broadcaster to run 8K programs, while 4K contents were offered on 17 channels. A limited amount of content is available in the higher resolution and viewers at least need a 4K-capable TV to watch it. But the Japanese government has been pushing the 4K and 8K services in time for the 2020 Tokyo Olympics and Paralympics. 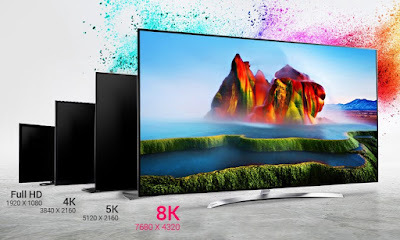 Some 4K ready TV owners need to purchase a receiver as those TVs not capable of receiving 4K signals by themselves. Viewers also need a dedicated satellite dish to watch 8K and some of the 4K broadcasts.